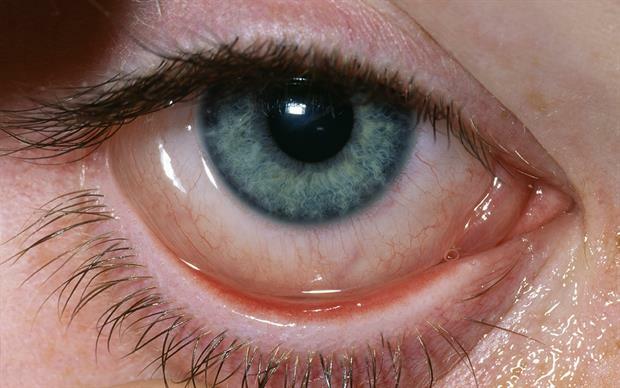 Inflammation of conjunctiva (Transparent membrane covering white part of eye) is called Conjunctivitis. It is a condition where eye turns red. Allergic conjunctivitis is caused due to allergy. The agents which cause allergy is known as allergens. Every individual is allergic to one or other substance in the environment. The most common allergens are dried grass, pollen grains etc. List of allergens are endless and individual specific. When an individual who is prone for allergy; get exposed to allergens, it causes release of some chemicals in tissue e.g. Histamines by allergy mediating cells like Mast cells. It causes itching, redness, watering from eyes. Allergic conjunctivitis is not contagious unlike the traditional red eye or infective conjunctivitis. Routine examination by an eye doctor is sufficient. Some signs are very specific for allergic conjunctivitis like papillae, ropy discharge, limbal hyperplasia. To find out specific allergens, Allergy test can be done in individual who are prone for generalised systemic allergy like asthma, eczema, Atopy etc. Otherwise such test is not recommended as avoidance to these allergens is practically cumbersome in routine life. Eye drops (used for longer period like Anti glaucoma drops etc. Complete cure of allergy is not feasible, but symptoms of allergy can be suppressed with the help of medicines. Rubbing of eyes due to itching causes more trouble to eyes than allergy itself, so intense rubbing of eyes should be avoided. Avoidance of allergens is the IDEAL treatment but its easier to say than done as it will severely hamper life style and quality of life. How long the allergic conjunctivitis lasts depend on the type, severity and the treatment taken along with the compliance for the treatment. Medicines in the form of eye drops like mast cell stabilisers (Olopatadine, sodium cromoglycate) , antihistamines ( Ketotifen, Bepotastine) , NSAID ( ketorolac ), Steroids ( loteprednol , FML, difluprednate, prednisolone etc) , immune modulators ( Cyclosporine , Tacrolimus eye ointment)., are useful in treating allergic conjunctivitis. Any eye drops should not be started without ophthalmologist opinion to avoid its side effects. Using sunglasses while going out, cold compression can alleviate allergic symptoms and serve as useful home remedy for eye itching.